Riverview - The Deck Overlooks A Quiet Wooded Area. MLS#6525072. Keller Williams Realty Atl North. 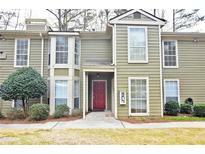 Close To Grocery, Dining, Shopping, And I-75. MLS#6525240. Keller Williams Rlty, First Atlanta. Meeting Park - Golden Egg Savings & 2% In Cc To Use Preferred Lender For All Homes Sold By 4-15-19. MLS#6524909. Mark Spain Real Estate. Horizons - A Beautifully Designed And Decorated Oasis Is In A Quiet And Growing Family Neighborhood Just Off The Historic Marietta Square, Minutes From Mountains, Shopping, Malls, Suntrust Plaza, Braves Stadium, Vinings, Interstates And Much More. MLS#8548045. Bhgre Metro Brokers. Salem Woods - Association Fee Includes Subdivision Front Entrance Maintenance / Annual $130.00 Hoa Fee Is Optional MLS#6524937. Keller Williams Realty Atl North. Quality Built, Best In Class Townhomes. Pinnacle Floorplan MLS#6524298. Berkshire Hathaway Homeservices Georgia Properties. Quality Built, Best In Class Townhomes. The Summit Floorplan MLS#6524297. Berkshire Hathaway Homeservices Georgia Properties. Quality Built, Best In Class Townhomes. Pinnacle Floorplan. MLS#6524292. Berkshire Hathaway Homeservices Georgia Properties. 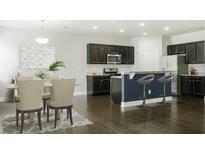 Quality Built, Best In Class Townhomes. Sierra Floorplan MLS#6524293. Berkshire Hathaway Homeservices Georgia Properties. Quality Built, Best In Class Townhomes. Panola Floorplan MLS#6524295. Berkshire Hathaway Homeservices Georgia Properties. 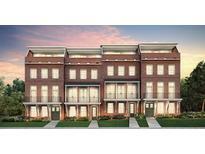 Quality Built, Best In Class Townhomes. Panola Ii Floorplan MLS#6524294. Berkshire Hathaway Homeservices Georgia Properties. Gardens At Parkaire - Whether It'S A Family Of Five, Four Roommates, Or An Entreprenurial Spirit Who Rents Out The Two Terrace-Level Bedrooms(Private Entrance), This Home Is Large, In Charge, And In An Incredible Area With The Best Schools! MLS#6524116. Atlanta Communities. Cobb Place Manor - The Finished Basement Has Its Own Exterior Entrance, Full Kitchen, Great Room, Laundry, 2 Beds, 1 Full Bath, Covered Patio, & Large Yard. MLS#8549297. Palmerhouse Properties & Assoc. New Roof Installed. New Garage Doors Installed. 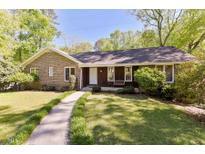 MLS#8549312. Sellect Realtors, Llc. 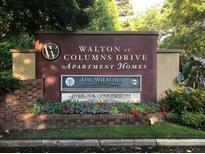 Use Address 810 Lecroy Dr Marietta 30068 For Gps MLS#6523583. Engel & Volkers Buckhead Atlanta. 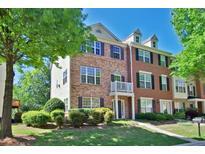 Use Address 810 Lecroy Dr Marietta 30068 For Gps MLS#6523573. Engel & Volkers Buckhead Atlanta. 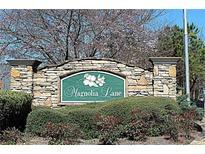 Use Address 810 Lecroy Dr Marietta 30068 For Gps MLS#6523577. Engel & Volkers Buckhead Atlanta. 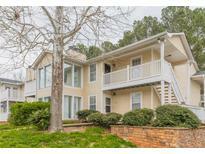 Caswell Overlook - Close To Fox Creek Golf Course, Treasure Island Shopping Center, & Cumberland Mall. Come See Today! MLS#6522232. Maxim Properties, Inc..
Hoa Includes Pool, Exterior Maintenance, Landscaping, Water/Sewer, And Trash! MLS#6523659. Harry Norman Realtors. Storage Unit & Assigned, Covered Parking. Gated Complex With New Roof! MLS#6523400. Red Barn Cityside. Roommate Floorplan With Spacious Bedrooms And Bathrooms. Move-In Ready! MLS#6523788. Keller Williams Realty Atl North. Great Location And A Must See. MLS#6524124. Sharkey Real Estate, Llc..
Camelot - Quiet Neighborhood But Only 5 Minutes To Great Shopping And Nearby Amenities Offered At The Post Oak Recreation Association. MLS#8547986. Keller Williams Rlty.North Atl. Johnsons Landing - Newer Baths,, Roof, Deck,Gutters And Attic Insulation. Adorable! MLS#8547449. Keller Williams Realty Consult. 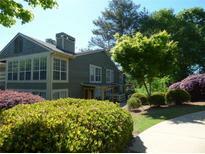 Crossings At Burnt Hickory - Active Adult Community With Clubhouse And Pool MLS#6522947. Coldwell Banker Residential Brokerage.